No Initials, same day ship Kona stained. If ordered before 2pm EST, if not it'll ship within 24 hours. 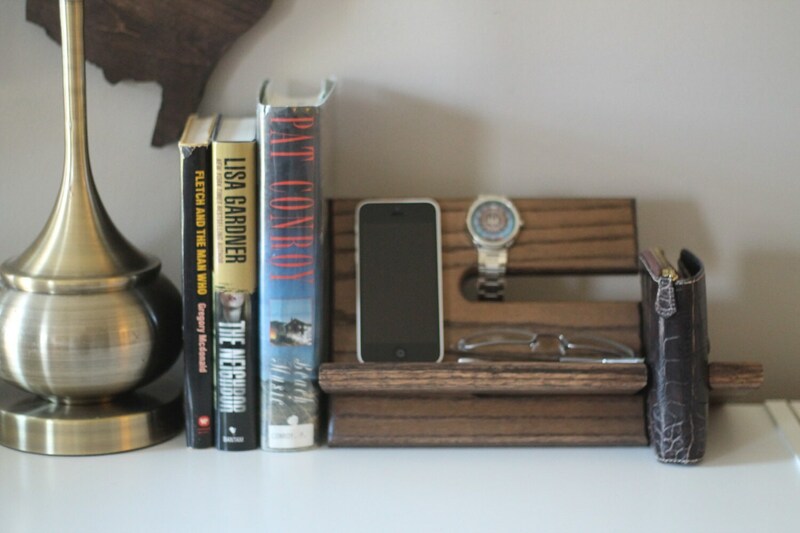 This Watch and iPhone dock is made from solid oak construction. Some others listed on other stores are made with cheap plywood. This is solid oak. 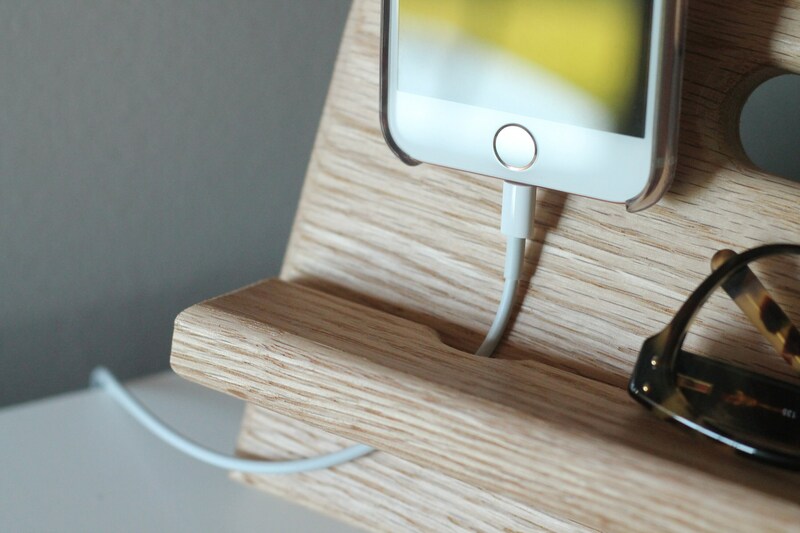 This will charge and display your Iphone 4 or 5 and other carriers. 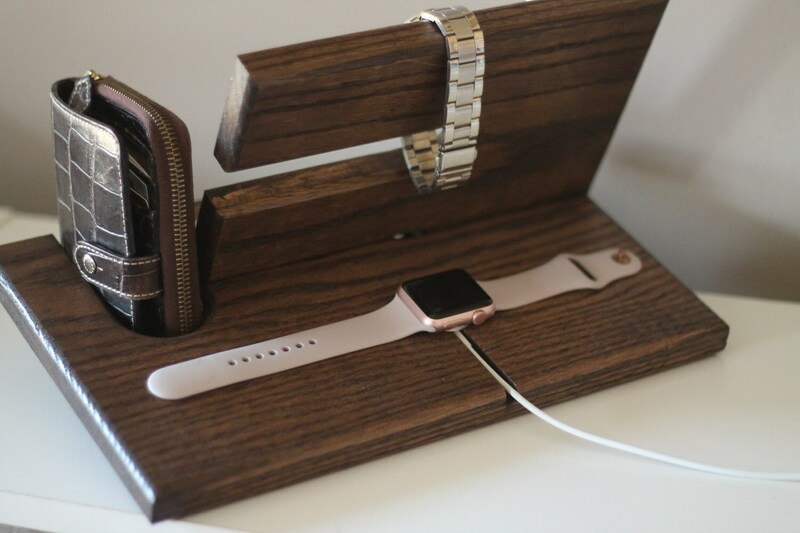 This caddy has a watch holder that can keep 2-4 watches on display. 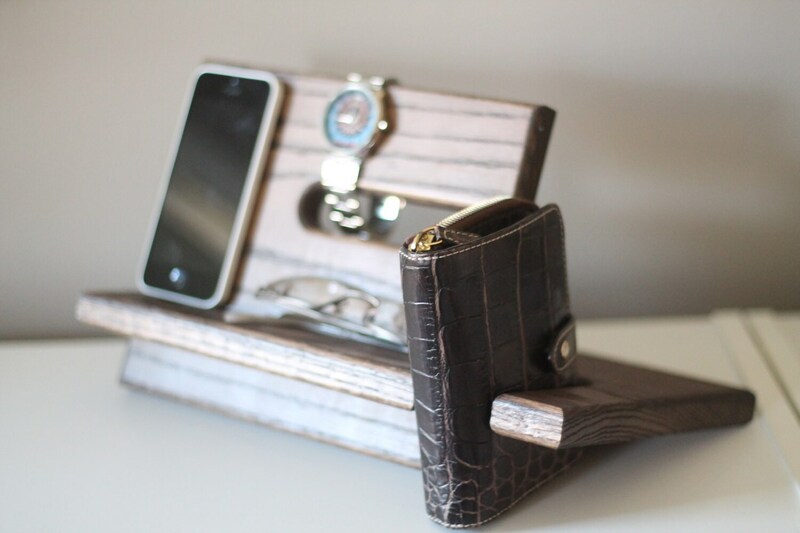 This valet can also hold other items such as eye glasses or wallet, or other items needed to start your day. Works with many makes and models of phones. iPhone 5 pictured. Catchall type design. Solid oak, not mdf or any other low grade material. Hand stained and polyurethane finish standard.